Caitlin Kunkel, Brooke Preston, Fiona Taylor, and Carrie Wittmer are comedy writers and satirists whose work has been featured in the New Yorker, McSweeney’s, and many other outlets. Together, they cofounded and edit the website The Belladonna, which responds to today's culture, news, and politics with comedy and satire written by women and nonbinary authors. "Might be the funniest book of the year (I LOVED this)." 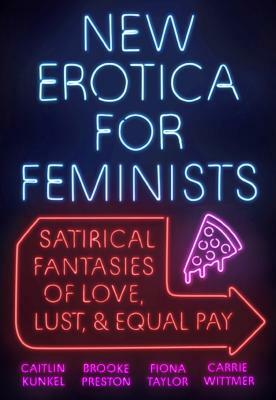 "This book left me hot, bothered, and pining for more equality. Which is generally my default setting...but still. This is the kind of fantasy that gives us what we really want: men who understand emotional labor and an immortal Ruth Bader Ginsburg." "We've never been so amused and turned on at the same time." "I love fantasy novels, and a whole book of satirical feminist erotica like this ridiculous hilarity is more of an escape than any sword-and-sorcery epic. I also hope that these broads included elves in the book, but if they didn't, I still want to tell everybody to buy it."